On any given day you’re in a rush, right? Need a very easy and quick meal that you can make from staples found in your pantry? There is no excuse to order pizza out. It is expensive and calorie laden. 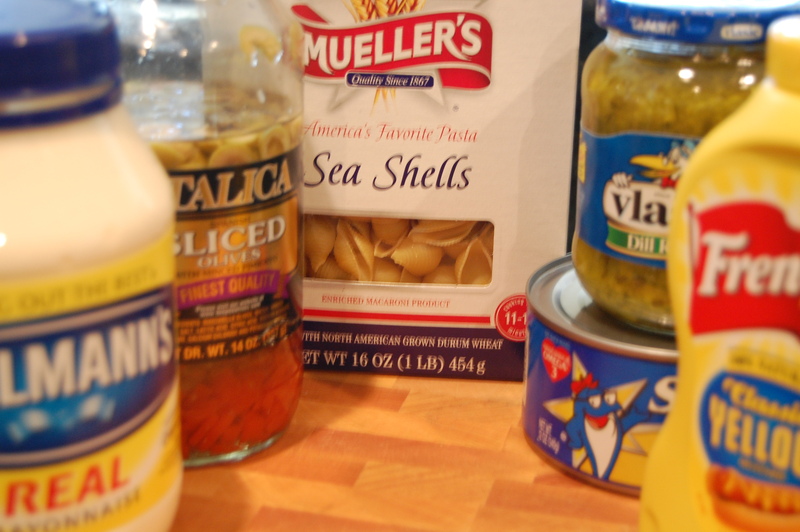 Here is the answer – pasta salad. Most anything added to pasta will make a good meal. Another good point about pasta is that most people who can boil water can do pasta. So in the time that it will take you to boil water plus another 10 minutes dinner can then be served. Pasta does not always have to come with a sauce that takes time to make. Just a little oil, seasonings, vegetables, meat, fish, poultry,or beans in any combination will work. You can’t get any easier than that! Be creative! If you don’t trust your creativity check out the recipes on the pasta boxes. I have found most of them very good. Tuna salad with pasta is a standby in my house. Start with just a tuna salad. I love this and often have it along side a tossed salad and Italian dressing. The Athlete prefers a Panini which is very good with Havarti cheese with dill. Yummy! 2 cups of pasta shells according to directions. Drain. I haven’t had this in years. Yum. Great! A good old fashioned tuna salad with sea shells added. Love it. What do you think of using Rainbow Rotini (tomato & spinach) pasta? Tuna has never been one of my favorite foods, but this looks great (:! I have never really been a big fan of salad but this looks really good! This tuna stuff looks really good but i really done eat fish! This pasta sounds like something I would try at home. It looks absolutely amazing. I have always liked tuna, but never thought of it like this. I would enjoy trying this at home sometime. i’m not usually a big fan of tuna, but who knows this could turn out to be my favorite food! That looks really good!! (: I love pasta! ive never tryed tuna salad but this looks very good and i might try it . 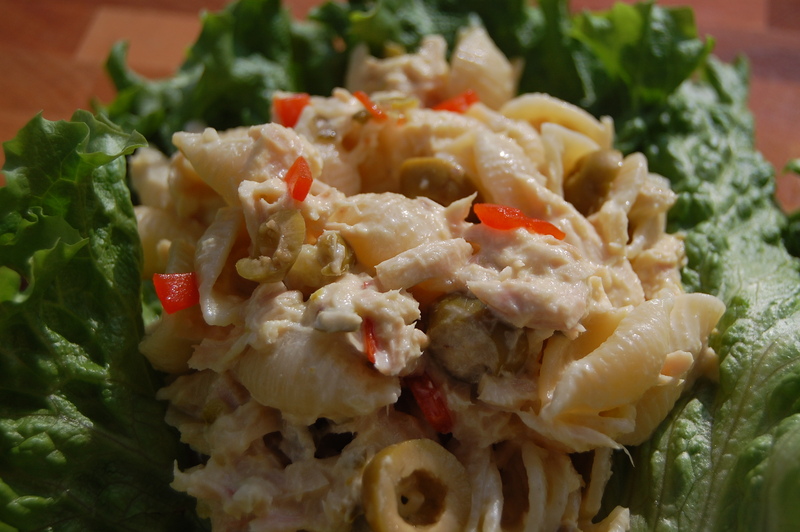 i love tuna salad and i love pasta and they look like they would taste amazing together. I don’t normally eat tuna, but this looks pretty good. i eat tuna everyday when i get home! a tuna sandwhich is my favorite!